Dubai-based GWM Group, formerly known as Guardian Wealth Management, is unveiling a new, UK-based, FCA-authorised business under the GWM Investment Management name, to target UK-based, high-net-worth clients. The new business will be located in Cavendish Square in London’s upmarket Mayfair district, and headed up by Chris Payne, formerly of Aspinalls, a London family office, GWM Group said in a statement on Tuesday. 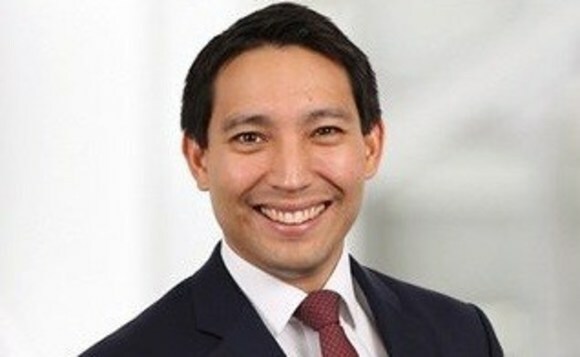 Payne, pictured, brings to his new role with GWM Investment Management more than 12 years of experience advising families, trust funds, pension funds, charities and limited companies on investing, GWM Group said. It said that in addition to retaining his “long-standing client base”, Payne will also be responsible for running the firm’s UK operations, and will sit on both its investment and technical committees. Payne said he plans to work in an “entrepreneurial way”, with an ultimate aim of achieving “a perfect client and colleague retention record”, the support for which method he noted that his new employer has already indicated it plans to give him. “There is a strange obsession with having a USP and an unhealthy pressure to stand out against the competition,” he added. “For me, this is totally meaningless and counter-productive. Why doesn’t everyone just focus on being extremely good at what they do? Also joining the new business, as senior para-planner, is Ian Peters, who will be responsible for research and client advice and suitability. His responsibilities will also include setting up and chairing both the company’s investment and technical committees, GWM said. Peters most recently had been head of technical and research at Partners Wealth, where he had been for the past two years, and has been Chartered Insurance Institute-charted since 2012. The GWM Group has been providing financial advice to individuals and entities such as trust funds and pension funds since 1994, when it was founded by David Howell and John Hasbury, initially in Belgium, before expanding internationally. It currently operates out of offices in Geneva, Zurich, Abu Dhabi, Hong Kong and, now, London, in addition to Dubai. It is said to have more than 7,000 clients and look after client assets of around £1.4bn.